It has reported to be beneficial for many different ailments, but just how good is coconut oil for skin. Coconut oil is plant based. It is made from the dried kernel of coconuts, also known as copra. The kernel is the white edible part. 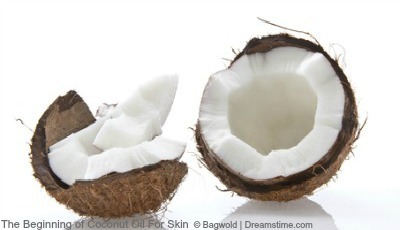 When you use it to manage your eczema it has been suggested that the best type to use is organic, virgin coconut oil. If the oil comes from organic coconuts, it will be free of pesticides and other chemicals. To make it a virgin coconut oil, it is processed in either one of two different ways. It can benefit your body in a few different ways. It is recommended that you use products that are made of 100% pure coconut oil. They will not contain any other chemicals and will be more beneficial for your skin. Side effects are quite rare when using coconut oil. 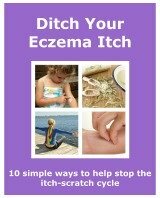 You may get an allergic skin reaction if you use it topically. If you take it internally, for example, in cooking, you may also get an allergic reaction. They have been reported but appear to happen infrequently. Coconut oil is high in saturated fat. It is advised to limit the amount used in cooking. Especially if you have high blood pressure or are wanting to lose weight. If you are pregnant or breastfeeding, coconut oil is safe when consumed in a safe amount. The amount normally eaten as part of a healthy diet. It is also safe for children to use. There are some good benefits to using coconut oil. The other positive is that there are only a few possible negatives. You may decide it is worth a try. Try a small amount on your skin and check for a reaction. If there is no reaction then you might decide to slather it on and see how it works for you.